Let Your Web Site Business Go Viral! Get the best ROI on your social network marketing efforts. The three best places to start are the most popular social media sites. Promote your web site business by building traffic by using social media marketing to connect to a wider audience. Going viral in the online social media world essentially means that something, whether an article, comment, picture, video or whatever becomes so popular that it spreads around the world like wildfire becoming an instant success in less than a heartbeat. Social media sites offer any web site business a free advertising and marketing platform to build traffic, attract visitors and to communicate to visitors (and potential customers) in a more relaxed, friendly and natural way. Social networking helps you build trust and that ever important long-lasting relationship that works to provide more sales and repeat visits to your website. Not to mention the viral component of social networking. . . The "viral" aspect of social network marketing is nothing more that making a few new friends, treat them to some scrumptious, juicy information and let them spread the word around the world-wide-web like wild fire. it a good hearty click now? My most wholehearted thanks. Then their friends will want to be your friend too, then their friends, and eventually you'll be the most popular kid on the virtual block! Can you imaging having the whole entire world as your friends who all not only like you but visit your web site regularly and trust you enough to buy from you? 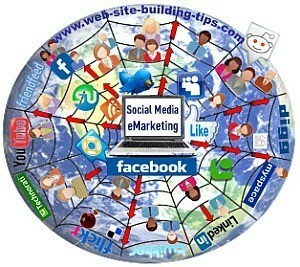 Social media marketing is an amazing phenomenon. 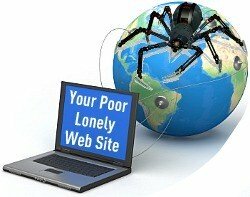 You don't want your website sitting all alone, with no visitors or traffic, lost somewhere in cyber space just waiting like a small lonely tidbit of spider bait for the search engines to find you. . .
You really want your website to spread around the world like wild fire creating a network of a gazillion friends to help your promote your site! Social media marketing is just so darn catchy! Isn't going viral so exciting? So don't miss out on the opportunity to begin establishing yourself and your website as a mighty force to be reckoned with in your niche . . . .
For goodness sakes, social media sites are free! It costs you nothing but a small investment of time while the ROI (return on investment) has huge potential payoffs. . . Tons of Website Resources to Make your Online Business Shine!